With many forms of treatment, a lot of people want to be as discreet as possible. Though some people like a noticeable change in their transformation, many opt for a more subtle form of treatment. Many people feel that way with their hair, nails, and, most importantly, their smile. If you have a misaligned smile, you may be been turned away from the idea of braces because you do not want to live with a mouth full of metal. Fortunately, there is a way for you to get the perfectly aligned smile you have been wanting while being discreet using Invisalign with Dr. J. Robert Donnelly. 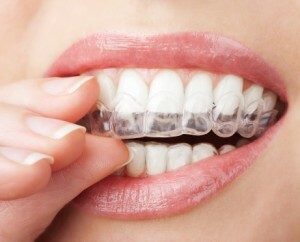 Invisalign is a wonderful piece of dental technology that is able to transform smiles every day. Using a series of aligning trays, Invisalign trays sit nearly invisibly on your teeth, allowing you to get the orthodontic treatment you deserve while also looking like your natural self. Each tray is indicative of a stage in your straightening process. You wear a tray for a certain amount of time, and when you are ready to begin the next phase, simply apply the next tray in the series. Simple and convenient, Invisalign is an excellent way to achieve the smile you want without compromising your appearance. A wonderful aspect about Invisalign is the fact that you are able to achieve greater oral health while going through your treatment. 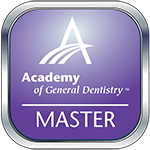 Whenever you need to brush, floss, eat, or drink, you simply remove the aligning tray and reapply when necessary. Also, there are no restrictions as to what you can and cannot eat with Invisalign. Having freedom in your orthodontic treatment is a wonderful aspect of Invisalign, and we invite you to experience the amazing results for yourself! 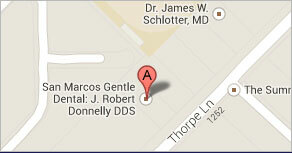 If you would like Dr. Donnelly’s help in achieving a beautifully straight smile, contact our office today! If you are ready to schedule your appointment with Dr. J. Robert Donnelly, please call us today, and we will be more than happy to help! We are able to take care of whatever general, cosmetic, and restorative dental need you may have. Dr. Donnelly sees patients from San Marcos, Kyle, Wimberley, New Braunfels, and the surrounding communities.